Are you loving this months theme "Things with Wings"? 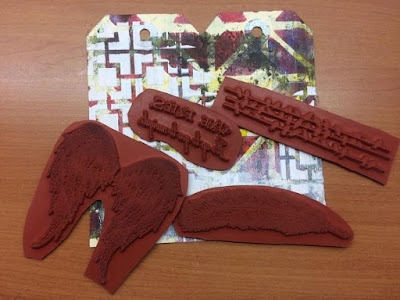 Soooooo many Blank Page Muse Stamps to create with for this theme - my tag art today uses three different stamps from the fab range at the Store! You know I love to decorate tags so I hope you enjoy my mixed media double tag creation today! Gelli Plate Printed Double Tags note: you can cut your own tags to size from your gelli prints if you don't have any!! Various embellishments: string, muslin cloth, cork style border strip etc. 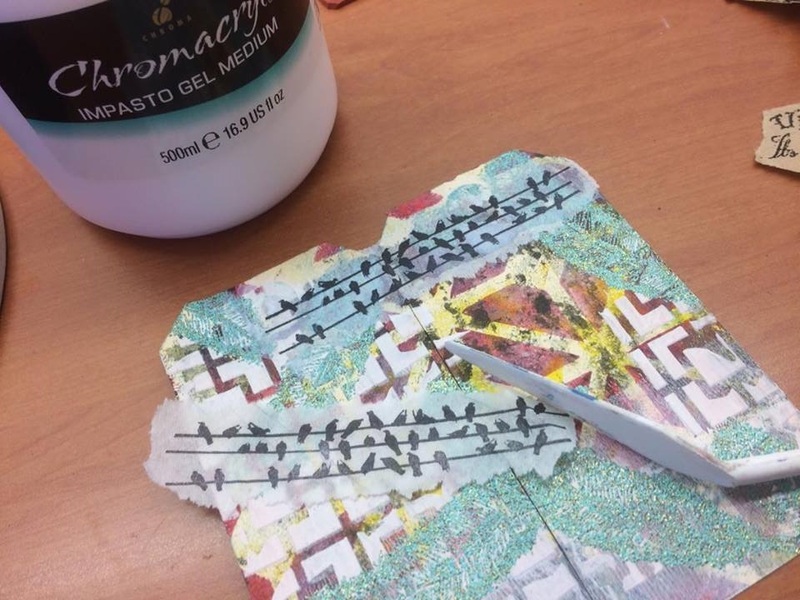 Use pre printed tags or cut your own from gelli plate printed card. I always have some extra things on hand to grab and create with! Use the Feather Art stamp with embossing ink and embossing powder to randomly add some more dimension to the printed background and add a little "sparkle"! 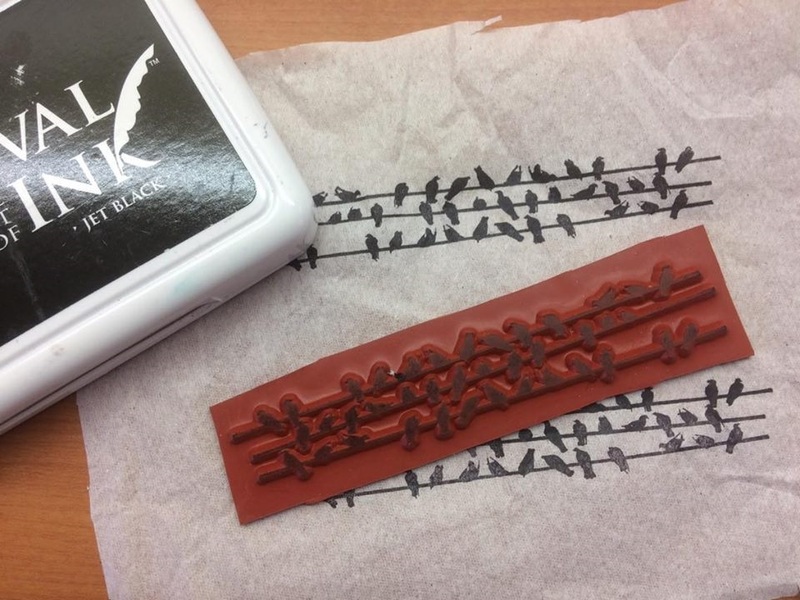 Use the Black Archival Ink to stamp the Birds on Wires onto white tissue paper. Tear out the stamped image. 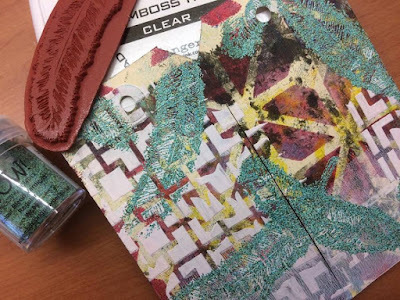 Use Gel Medium to adhere the tissue paper stamps onto the tag background. Tearing the image allows it to "blend" into the background better than a straight cut edged piece of tissue. Be careful when adhering the tissue down as it can tear easily once wet. Allow to dry. 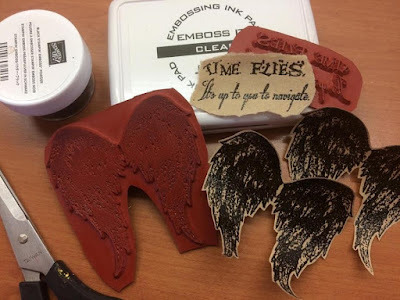 Whilst your tag background is drying stamp the wings and sentiment onto Kraft Paper using the clear embossing ink pad. Use fine black embossing powder and heat. Fussy cut the wings and tear the sentiment. 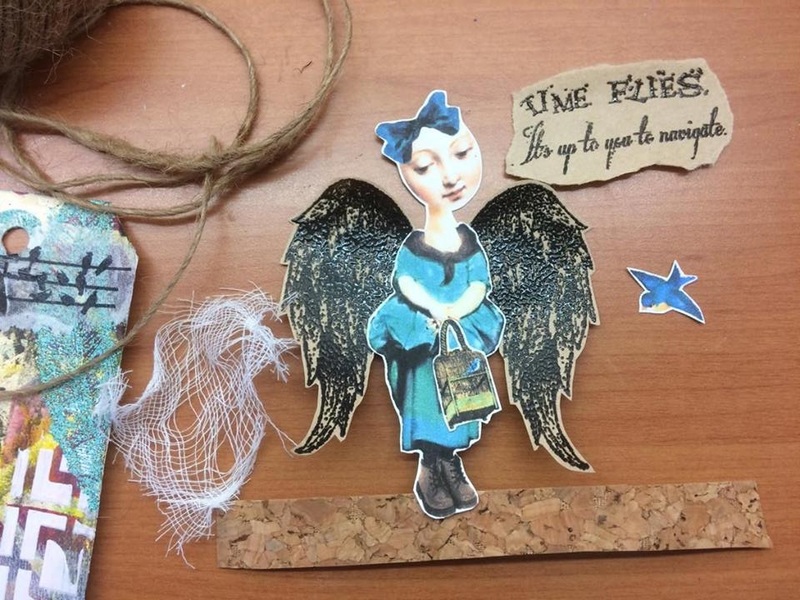 Gather your collage elements, stamped images and embellishments. Glue the embossed and fussy cut wings to your collage character. Soooo cute!!!!! Arrange all of your elements onto the tag background and adhere everything with glue. To finish tie some string to the top of each of the double tag. Happy Stamping and have a great week!!! Wowzas!! Wonderful use of so many different stamps Sharon!! Beautiful dear!